Good news: Panera Bread will no longer put Tert-Butyl-Hydroquinone in your sandwich. 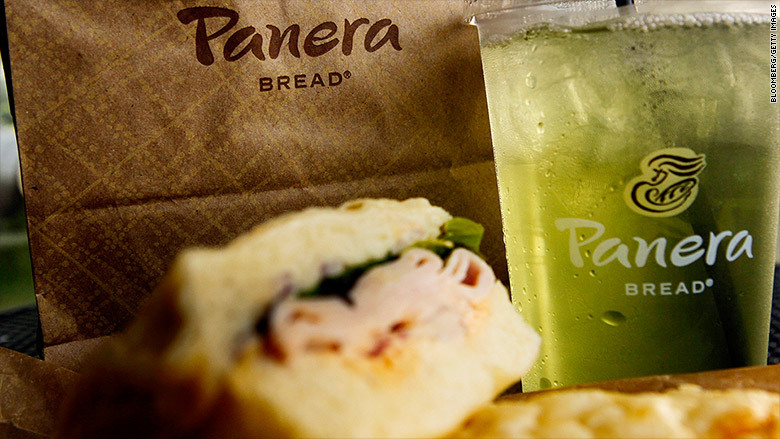 Panera (PNRA) said it's the first national chain to publish a comprehensive list of artificial additives and preservatives that will be removed. The move affects 150 ingredients that the company uses. McDonald's (MCD) recently promised to stop using chickens treated with certain antibiotics. Chipotle Mexican Grill (CMG) has announced plans to cut all genetically-modified foods from its burritos and bowls. And Dunkin' Donuts (DNKN) has dropped titanium dioxide, an additive used in sunscreen and paints, from its powdered donuts. McDonald's, once the leading fast-food chain, has been struggling to revive sales as consumers' tastes have changed. It unveiled a turnaround plan Monday that includes better food made with higher-quality ingredients. But the trend goes beyond fast food. Even some of the world's largest food companies have been making changes. Kraft (KRFT) is removing artificial preservatives and synthetic colors from its macaroni and cheese, famous for its bright yellow color. Nestle (NSRGF) is now making candy bars without artificial colors and flavors. Coke (KO)has removed a chemical used in flame retardant from its drinks. Panera is doing away with common additives such as high fructose corn syrup and artificial trans fats. And it's also dropping artificial colors and flavors, including chemical compounds like azodicarbonamide, methyl cellulose and potassium bromate. The company also said it would offer new "clean" salad dressings made without artificial flavors or colors.